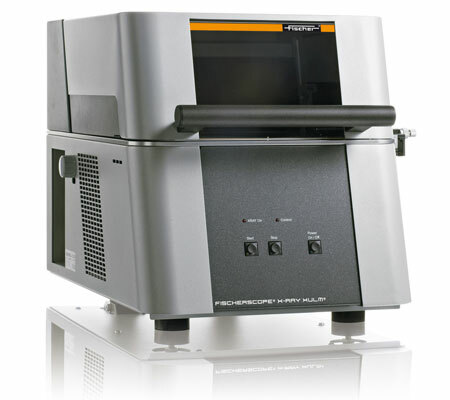 X-Ray Fluorescence Tester for Measurements of Coating Thickness - Fischer Measurement Technologies India Pvt. Ltd. Coating thickness gauge for electroplating and electroless coatings XDV-µ or X-Ray Fluorescence Tester is available in various technical specifications. These are widely used for non-destructive analyses and measurements of coating thickness on very small components and structures, even with complex coating systems. measure thin coatings and coating systems on very small flat structures. Repeatability precision X/Y unidirectional: ≤ 5 μm (0.2 mils) max., ≤ 2 μm (0.08 mils) typ. unidirectional: ≤ 5 μm (0.2 mils) max., ≤ 2 μm (0.08 mils) typ.